Fish Central. Fish Centric. It is, all about the Trout! 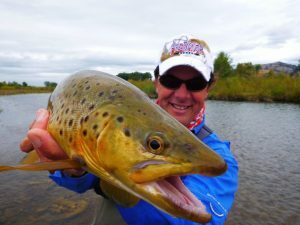 Healing Waters Lodge is located just outside the town of Twin Bridges, Montana and a few minutes from the Ruby River and private water access, and close to the Beaverhead, Big Hole, Jefferson, and Madison Rivers. We have more fly fishing options in southwest Montana than you could ever imagine. Mike Geary is the man to call, dial 406-459-2030. We would love to be a part of your fly fishing future!